HomePodcastsPodcast 108: Friday, Aug 4th, 2017 / Tim Brando and Chris Fallica first interview together! Podcast 108 with storytelling from Fox Sports' Tim Brando and ESPN's Chris Fallica - first interview together! 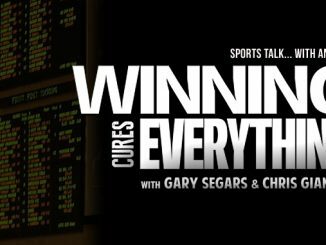 Podcast 108 with storytelling from Fox Sports’ Tim Brando and ESPN’s Chris Fallica! A colossal episode, as Tim Brando, from Fox Sports, and Chris Fallica, from ESPN’s College Gameday, join the program… together. 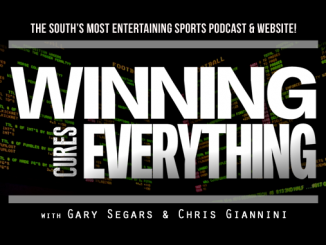 Gary and Chris start off by discussing Ole Miss possibilities, including different rumors, the idea of how the school’s legal team may have messed up, and what the end game looks to be. The guys drop the Ole Miss topic to explain to the voters in the Amway Coaches Poll exactly where they messed things up in Thursday’s release of the College Football preseason Top 25 poll, along with how many legitimate National Championships Alabama actually has. Tim Brando ([24:48]), play-by-play broadcasting legend for college football and basketball – now with Fox Sports and FS1 (who has added Big 10 football this year), and also the host of Football Saturdays for Raycom Sports (which has won Emmys in 12 of 14 years), joins the program. 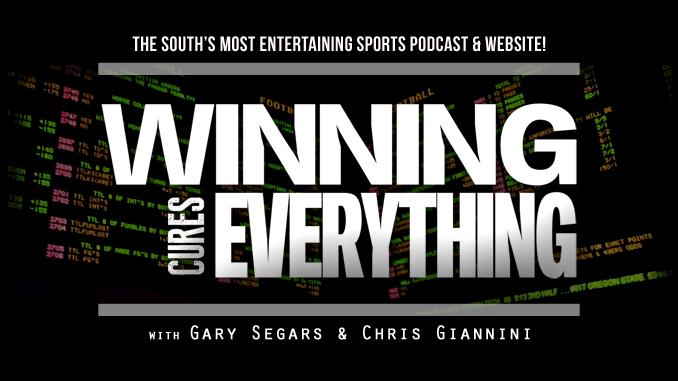 Gary and Chris intend to preview the upcoming season with Timmy B, but the discussion goes much deeper, rolling into the history of when he wanted to go into broadcasting, his jumping to different networks, the differences he’s noticed from covering Big 12 and Pac 12 after spending nearly 2 decades in the SEC, tells stories about his days at ESPN, and a slew of other things. Chris Fallica ([53:34]), from ESPN’s College Gameday and ESPN’s Behind the Bets podcast, then joins the show, and Tim Brando is having such a good time that he sticks around for the segment as well. Fallica and Brando discuss the history of ESPN’s College Gameday, Brando does some of his great Beano Cook impressions, the guys talk about which teams really get after them the most when they pick against their teams, we talk to Fallica about which teams he can’t ever seem to pick correctly, among even more in this first time interview with both “The Bear” and “Timmy B” together. To close out the show, Gary and Chris give a history lesson ([1:21:26]) about the 1997 football season, which ended with 2 National Champions, as it was the last year before the BCS was brought in. The two talk about how it happened, along with all of the other crazy things that happened in 1997. Finally, the guys do rapid fire on the Patriots sending out AFC Championship Game tickets with their season ticket orders, Tannehill going down with an injury (and the Dr that misdiagnosed it on twitter), and the Ravens injury problems during camp, and what might be going on in Baltimore. 1997 CFB Season Rewind: There were 2 National Champs that year?